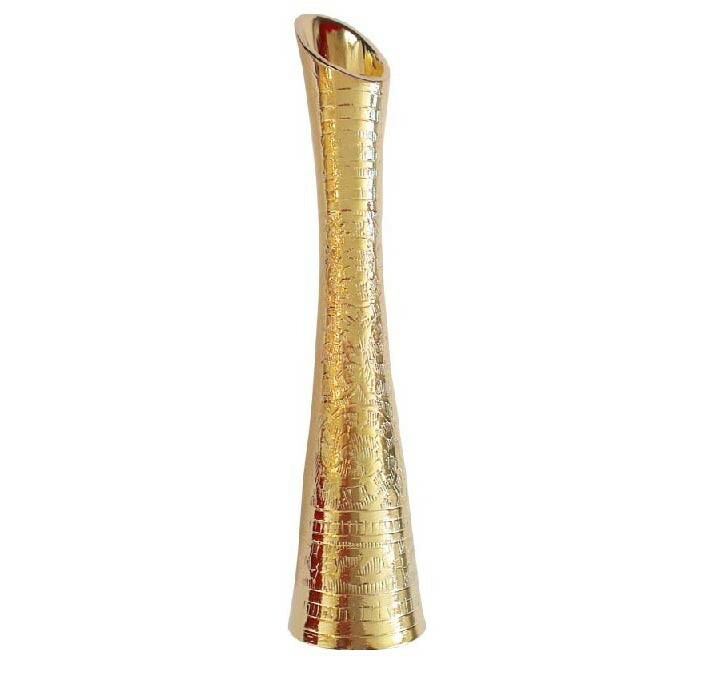 24 Karat Gold-Dipped Vase 6"
This is a classical and ornate heavy cast brass vase dipped in 24 karat gold. It is the perfect complement for a gold-dipped or glazed Eternity Rose. This stately and ornate vase has been artistically designed and crafted to the highest standards. 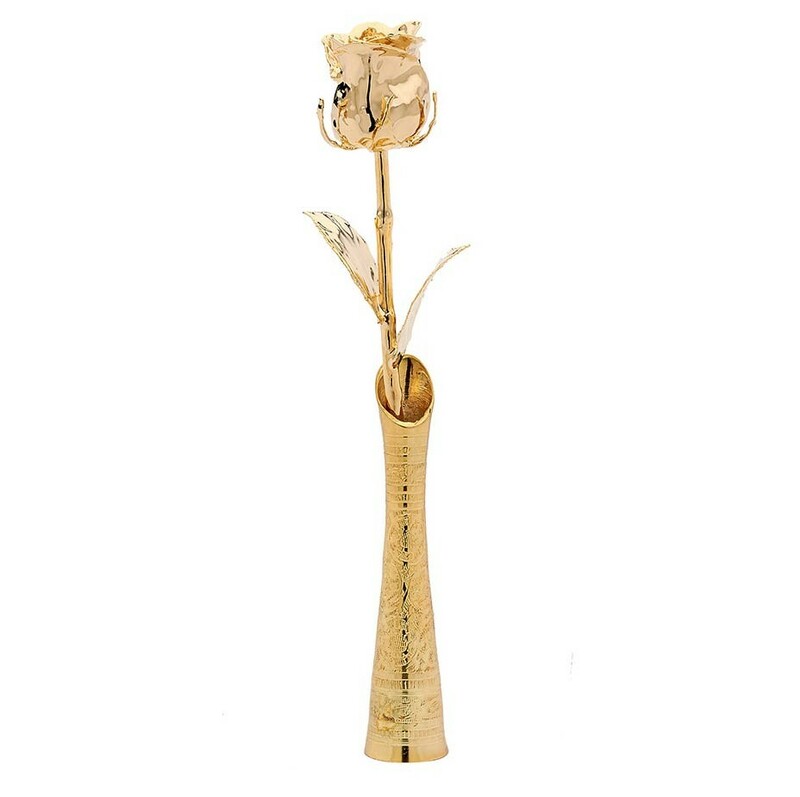 Presented in its own beautiful box, it is dipped in 24k gold and is an excellent way to display your Eternity Rose when there is insufficient space to display the rose in the leather presentation case. 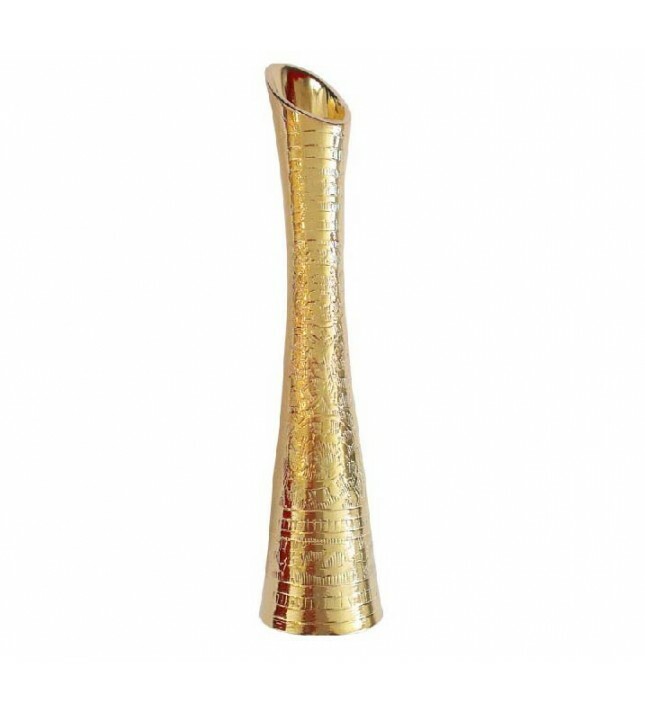 The gold vase is perfect for the gold-dipped or any glazed Eternity Rose. The silver vase is perfect for either a silver-dipped or platinum-dipped Eternity Rose. Please note that the vases are made from a cast brass mould and may display minor moulding imperfections on the bottom and inside of the vase. The inside of the vase is not gold plated from approximately one half-inch from the lip.